Solar/wind systems are always useful. They are bought online but are often prohibitively expensive, but fortunately it is possible to build your own from scratch. Although, as expected, the parts can also be quite costly it is possible to start a solar/wind system small and expand it gradually. Firstly, calculate your usage. You can work out what size panels you need for your portable solar panel system. You will need only a small system if you wish to run a light and a radio when camping for example than you would if you were planning on running multiple lights, a kettle and stove, a radio and a laptop in case of a national power outage. Next obtain your equipment to build your portable solar panel system. This will include at least one solar panel, one deep cycle battery and a power inverter. An important point to remember when assembling your solar/wind system is to ensure that you fully charge your batteries before first use. Next get a large, durable and waterproof container that fits the battery or batteries comfortably. Put your batteries into the bottom of the container, ensuring that, if you are using more than one battery you put the positive in line with the positive, the negative in line with the negative. This will make them easier to connect.Connect the batteries together in parallel, making absolutely certain to connect the negative to the negative and the positive to the positive. The great thing about this system is that it is expandable, you simply add more panels and batteries as your needs dictate, ensuring that you get a year round supply of eco-friendly, green and virtually free source of energy all year round. The system described above can be started for as little as $1000 and with the rising cost of home energy perhaps portable solar panel systems may become a viable alternative. An average home could recoup the cost in around 2 years. The real use of portable solar panel systems has usually been the camping and leisure market however, with a growing market in disaster relief efforts. The possibilities when we look at Africa for example, where sunlight is an abundant resource but electricity supplies are patchy at best, aid worker may soon come to rely on portable solar panel systems to bring much needed free power to hospitals, clinics, schools and birthing centers that often have to rely on patchy supplies of energy if any at all. Portability is a very important attribute for many situations. You can do solar/wind charge controllers by yourself, some sort of charge controller will keep an eye on that inbound current and may switch off the actual circuit in the event the batteries are totally billed. That diversion load charge control may possibly deliver the extra current to a different load, such as the power grid, after your power packs are charged. This safeguards your own personal support program from harm since it does not let your batteries being over-charged which will decrease living of the costly batteries. Its not necessary to purchase a cost control, since you might get the "DIY" 0r "Do-It-Yourself" ideas and schematics to create one. These types of plans include all you have to such as an comprehensive plans for the LEARNING TO MAKE charge control circuit accompanied by a listing of the categories of materials and equipment youll should do the job. It will likewise give you the web sites youll need to purchase the various components through, because a few these wont be easily available locally. An awesome do-it-yourself plan will also have comprehensive, step-by-step directions along with color pictures, and with regard to more specialized steps, complete blueprints and also other info to make creating your charge control quickly and easily. For an example, it might make suggestions where one can set up the actual controller for top usefulness or even how you can do all the electric hook ups for that system. A terrific do-it-yourself charge control plan should also consist of options to produce only the basic controller, or include all of the extravagant diodes and specific circuits to get. A excellent plan also needs to have the ability to update because brand new technologies come out which means you dont need to to begin all across. Additionally, it may consist of other helpful suggestions and knowledge to get the most from your controller. You ought to be in a position to follow the instructions properly, and still have a certain amount of the do-it-yourself challenge. We all want to save profit; or else you would most likely pay the expense of buying a charge control which was already put together. A charge control plan, including all of the essential components should not cost more than just purchasing a previously assembled one. The options on their own wont be much more that $20, and most of the parts youll need under $20. The only real large cost are going to be purchasing a device like a soldering iron which you might not currently have. Its truly huge device, therefore it should not cost an arm and a leg. 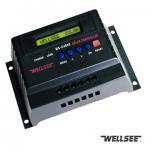 Youll find several web sites that produce do-it-yourself charge control options. Its a wise decision to look about and discover the best plans at the correct price. Make sure that should you be looking for one these, that you simply select sites that are aimed at renewable power resources. Theyre going to have just about the most experience in the area and can sell a plan thats tried and tested. One of these web sites can also be perfect since you will have use of more alternate energy ideas. 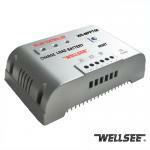 It is extremely important to have a solar charge controller to safeguard your batteries from getting overcharged. A solar panel thats rated for twelve volts can actually be putting out concerning sixteen and twenty volts. The following difference in voltage results in a greater current move into your batteries. And too much current will cause the electrolyte within the batteries to boil, consequently causing shortened battery lifestyle and ultimately, complete failure of the battery.